There is good news for environmentalists who raise money showing that a toxic 'cocktail' must be harming the environment even when science cannot show it. With modern testing, anything can be detected, though that does not make it harmful. One molecule in a hundred acres is not really high exposure, even to the hand-picked participants of IARC committees but a new paper says bodies of water are "sinks", and thereby bind contaminants particularly well. If environmentalists and the scientists that enable them want to detect even slight concentrations in water without being disqualified for being below toxic thresholds, the growth and swimming behavior of small crustaceans, mini-snails and copepods may do the trick. And also test several substances in parallel on various aquatic species, rather than only carrying out individual toxicity tests. 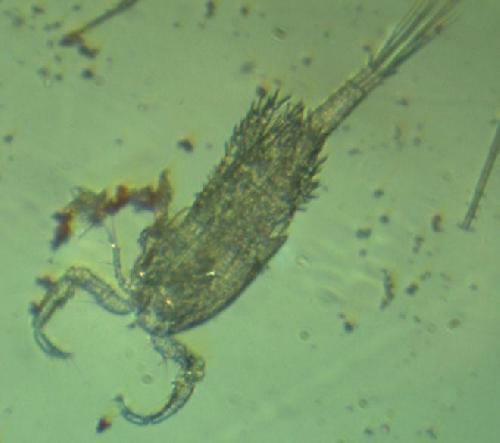 If a small crustacean does not grow properly, this can affect its reproduction. And if it is no longer able to move normally, it cannot flee from predators or from changing temperatures, which eventually has a fatal outcome. Talking about such "sublethal effects" could be a real gold mine for activists - they just have to say chemicals are causing differences in growth. No one can disprove it. This will be better for Natural Resources Defense Council than standard methods of pesticide analysis and risk assessments, which find that substances are not harmful and leave only the true believers with them against science. Focusing on sublethal effects and linking swimming behavior and growth, caused by widely used pesticides, could be the solution. and only use a 10-day period. Eventually, significantly negative effects resulting from the combined pesticide pollution in the water for twelve of the 15 small invertebrates and ten of the 16 zooplankton species they sprayed and counted. - Firstly, the laboratory tests provided an indication of the concentrations at which the contaminants influence the growth and swimming behavior of the organisms. - The field studies proved the long-term effects on an entire ecosystem, its food web and its community structures. The negative effects on aquatic ecosystems could only be pinned down by combining lab findings and field studies, always a warning sign in science. But they conclude that the changes in the animals which are detectable from their swimming behavior, growth or weight, and which eventually lead to their death (sublethal), are an important indicator. The problem: There is no valid scale showing the point from which, for example, a delay in growth has a fatal outcome for the animal. Look for a team to create something soon. Published in "Ecotoxicology", "Environmental Science and Pollution Research" and "Environmental Toxicology and Chemistry"